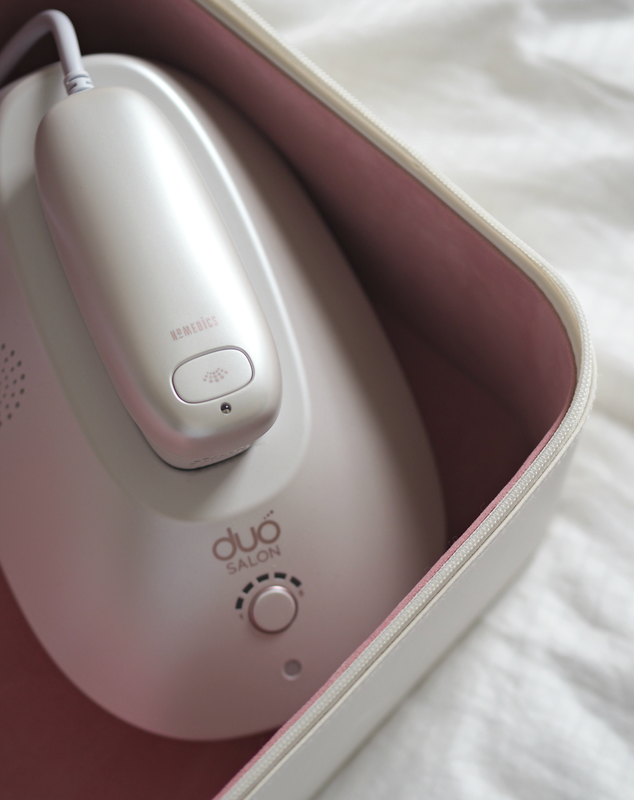 Unlike many other IPL devices I’ve tried, the HoMedics Duo Salon is lightweight and easy to use. 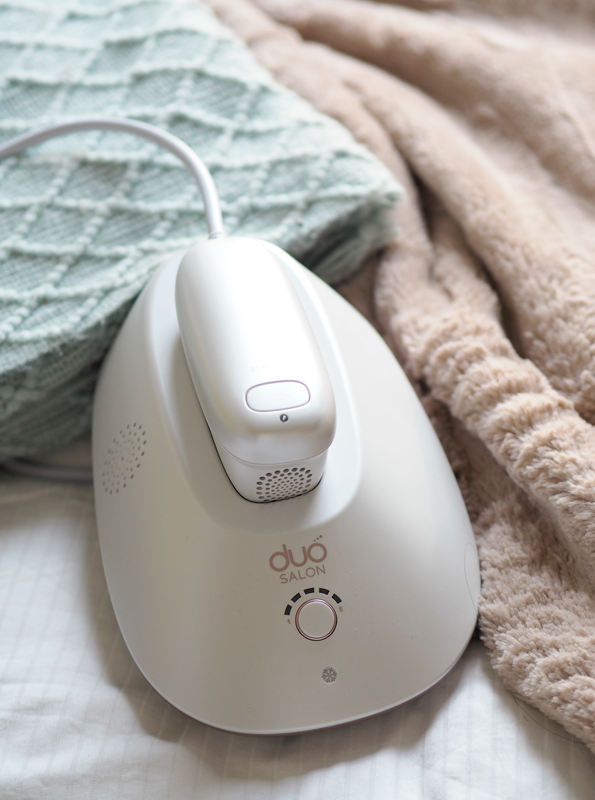 Because it’s connected to a base unit, the weight of it is kept to a minimum (ensuring you don’t get arm ache and need to take a rest after each limb,) while the device is incredibly quick to reset: you don’t have to wait more than a couple of seconds between each blast, speeding up the overall process. It takes me around 10-15 minutes to do my legs, while my underarms take practically seconds (and for a woman who has very little time, this is definitely a bonus.) Because it’s so quick, I’ve actually stuck to using it every few weeks in order to catch the hairs as they’re in their growth cycle; although I’m yet to be hair free, I’ve definitely noticed my frequency of shaving has reduced and the hair on my legs is a little more sparse. So far so good! light pulses travels down to the hair root,) meaning there’s no warmth or sting that’s usually associated with such devices. I have to admit I was really quite skeptical about this feature, but it’s so effective that I’ve been braving much higher settings than I would do usually without even a flinch. body (including legs, arms, bikini area, underarms and face) this is a one stop shop to smoothness. The biggest hurdle for me is usually sticking to something for longer than a couple of weeks, but this device is so easy to use that I can’t really make an excuse. Stay tuned for the end results of my trial in a few weeks! Check out my introductory post on the Duo Salon IPL (and all its features) here. 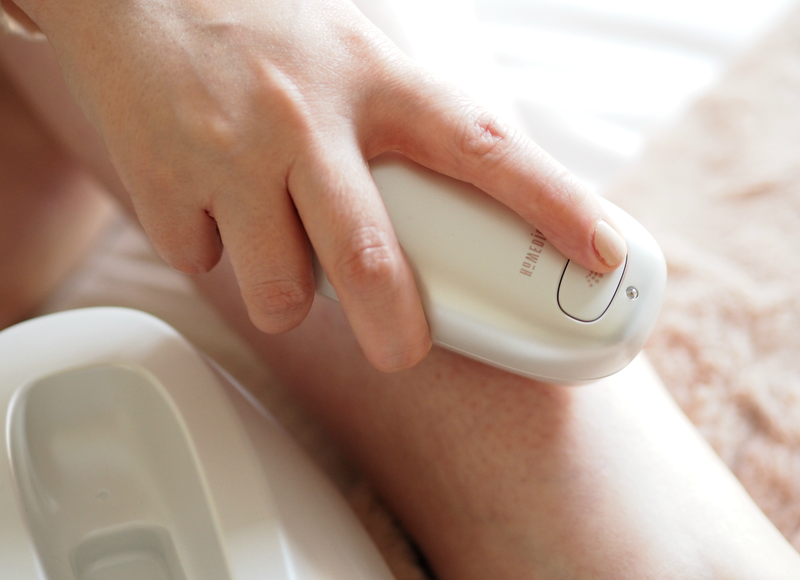 The HoMedics Duo Salon IPL device is available online, priced £499.00. This is a sponsored post on behalf of HoMedics; all opinions are my own. I'm actually doing it regularly because it's quick and doesn't hurt – which has always been the problem for me! It's expensive in the bigger scheme of things – but far cheaper than in-salon treatments, or even regular waxes, in the long term.